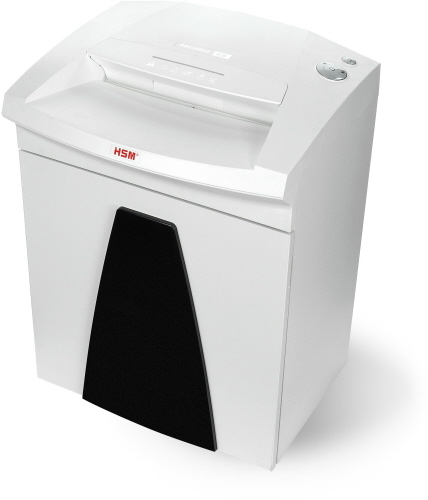 HSM offers an excellent line-up of small office shredders for use beside the desk, in common areas or in small work groups. 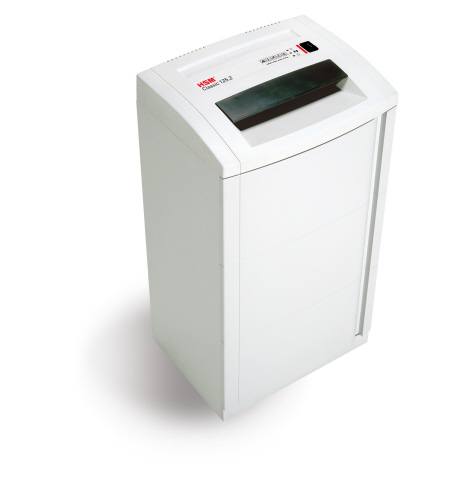 Designed for shredding paper as well as multimedia materials. Several HSM models in this category can destroy smart cards / credit cards, CD's / DVD's / Blu Ray Disks and other optical media, paper clips and staples (do not need to be removed). 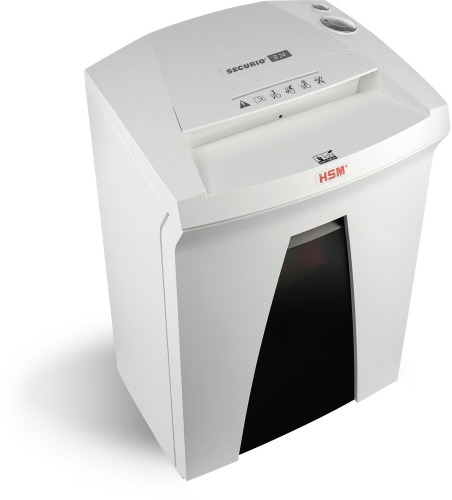 HSM small office shredders provide for workplace safety, low noise while working and durable design features. When identity theft is a concern - destroying your documents and media data on site is the only sure way to ensure data disposal is done right! 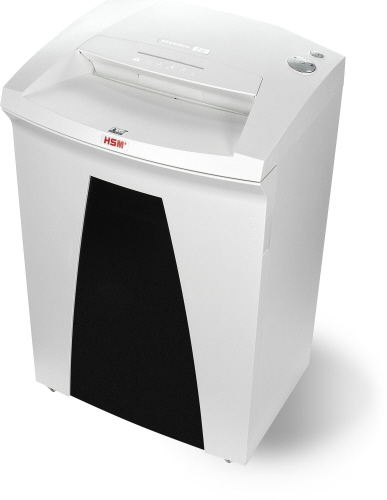 High performance document shredder for desk side use. Shreds credit and store cards with ease as well as CDs. Multi-function operating button and reversing button. Folding safety element in the security level 2 with in-feeding slot for CDs. Cross-cut shredder features optimized cutting device technology destroys 17 to 19 sheets of paper, creating 447 cross-cut-confetti-cut particles per page. It also shreds staples, paper clips, credit-store cards and CDs-DVDs. Cross-cut shredder features optimized cutting device technology that destroys 17 to 19 sheets of paper, creating 447 cross-cut-confetti-cut particles per page. High-quality materials provide safety and durability. Anti-Jam Technology prevents jams if machine is overloaded. Micro-cut shredder features optimized cutting device technology that destroys 11 to 13 sheets of paper, creating 2,116 micro-cut-confetti-cut particles per page. It also shreds staples, paper clips and credit-store cards. High-quality materials provide safety and durability. Anti-Jam technology easily and quickly reverses paper if the machine is overloaded. The Deskside HSM Securio B24 HS L6 Shredder is a Type II Level 6 Cross Cut office model with a 9 1/2" feed opening. It allows for up to 8 sheets to be fed at a time. This shredder is made of high-quality materials for safety and durability. Use Energy Management Control System (EMCS) to deal with energy in a sensible manner by reducing energy consumption up to 90 percent. Shredder automatically switches to energy-saving mode in 2 minutes after last use.